Inland High Vacuum Grease and Sealant - Inland Vacuum Industries, Inc.
Inland Vacuum’s Celvacene high vacuum grease provides the lubrication needed for both high and low temperature vacuum sealing applications. It comes in three consistencies: Celvacene Light, Medium, and Heavy. Celvacene grease was formulated as the result of our extensive research into high vacuum seals and technology. 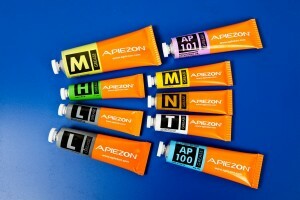 It contains no silicone and conforms to military specifications. 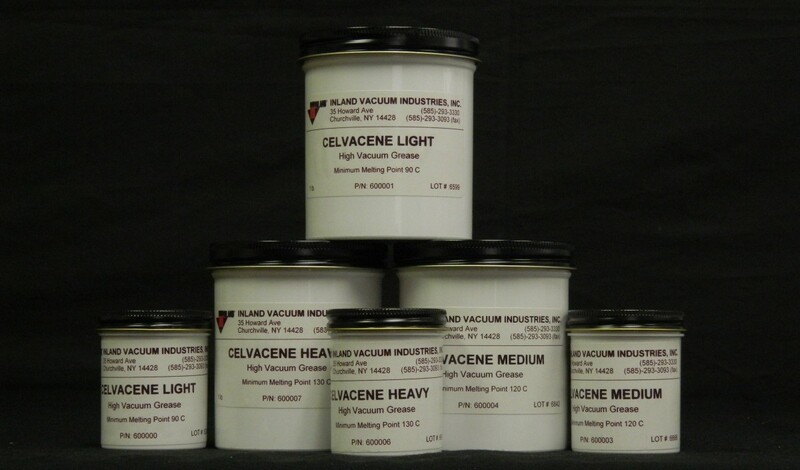 Celvacene Light is a yellow transparent grease with a minimum melting point of 90°C. Celvacene Light is recommended for ground-glass joints and other vacuum seals where both lubrication and low vapor pressure are required. On continuously evacuated systems, pressures of 10-6 torr or less can be obtained using this grease. For best results, ground-glass surfaces should be lapped together and only a thin film of grease applied. Celvacene Medium is a brownish-yellow transparent grease slightly heavier than Celvacene Light, with a minimum melting point of 120°C. 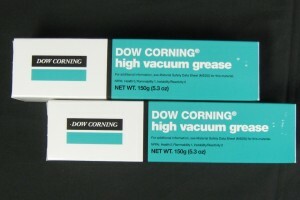 It is recommended for ground-glass joints and other vacuum seals under conditions where a lighter grease may be sucked through. This grease is especially useful for treating rubber gaskets, soppers, and tubing to form a vacuum-tight bond with metal or glass surfaces. 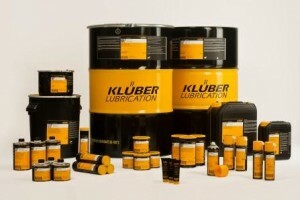 Rubber thus bonded is easily removed by feeding castor oil between surfaces with a thin-bladed instrument. On continuously evacuated systems, pressures of less than 10-6 torr can be obtained. 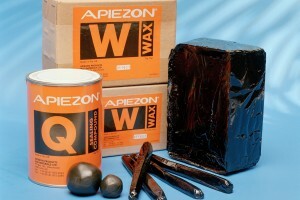 Celvacene Heavy is a dark yellow-brown transparent grease with the consistency of soft wax. Its minimum melting point is 130°C. Celvacene Heavy high vacuum grease is recommended for surface-treating rubber gaskets and tubing for vacuum-tight bonds to metal or glass, as well as for use around cracks and porous spots in vacuum systems as a temporary seal. Inland Inseal Vacuum Sealant provides excellent sealing ability for metal interfaces of vacuum components. It is resistant to water, oil, alcohol, and mild acids. Inseal Sealant’s storage stability at 25°C is greater than 2 years. The cured film has a vapor pressure less than 10-4 torr.